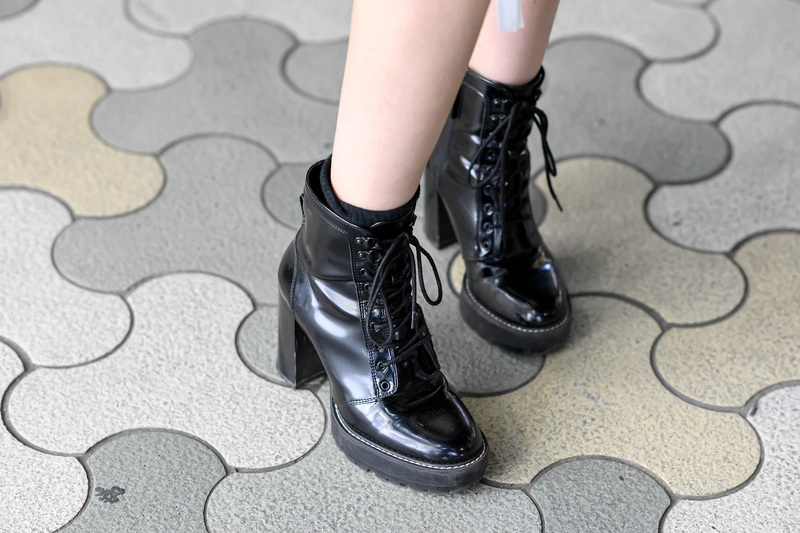 Ayumi is a 17-year-old Japanese fashion designer who we often see around the streets of Harajuku. Her brand is Billion Tokyo. 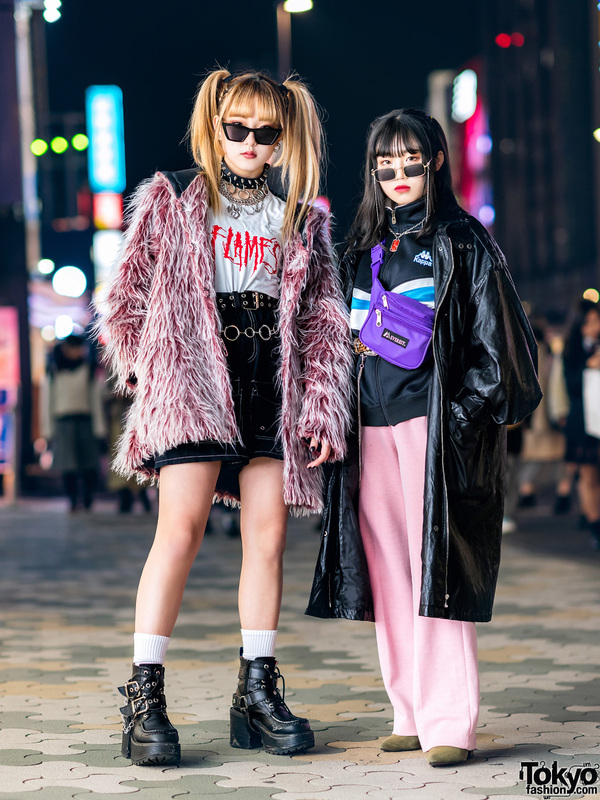 In addition to her lavender bob hairstyle, Ayumi is wearing a vintage cropped faux fur jacket over a front hook minidress, heeled boots, a backpack, and Billion Tokyo earrings. Ayumi’s favorite fashion brand is her own label Billion Tokyo (Instagram). Follow her on Instagram or Twitter to find out more about her fashion design and street style.